The knowledge bases consist of 13 building blocks. The building blocks are based on the conceptual model below. 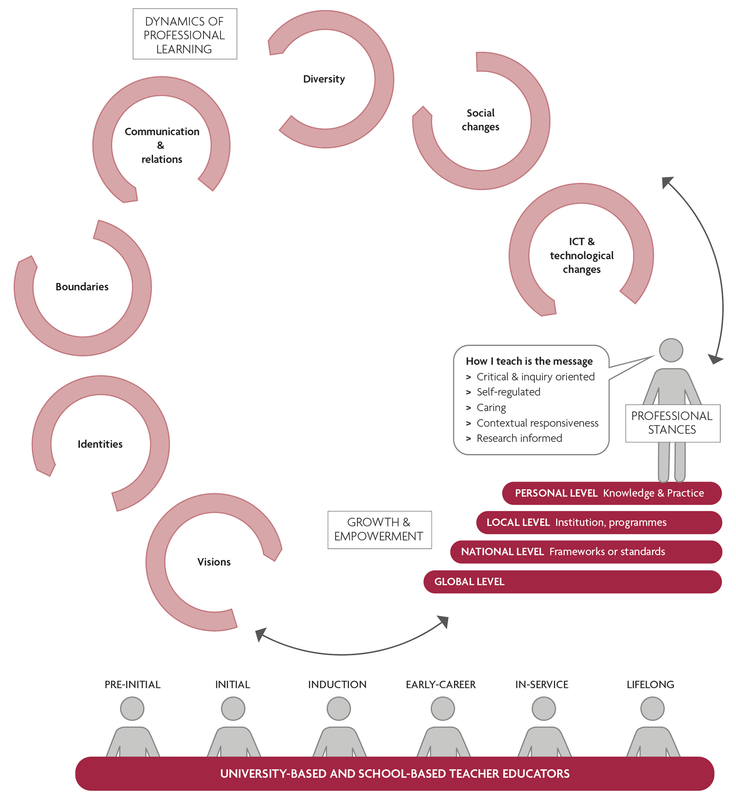 The conceptual model provides a map for the professional development of teacher educators. Each building block has an introduction page and offers suggestions for further reading, web resources and related blogs.